Expectation is a fundamental part of experience. We so often respond to our own anticipation, rather than responding wholly to actual events. We know this when someone plays a practical joke, giving us something light we are told is heavy: we automatically brace ourselves and the combination of muscles tightened for weight and the lightness of the object causes it to slip upward, out of our grasp and into the air. Frazzled parents know about expectation when they ‘know’ their child is surely bound to annoy them again by playing music too loud, or by being rude, or by coming in too late at night, as they have done before. Thus the parent prepares their frustration, anger and disappointment in anticipation before the ‘inevitable’ event has happened. And several experiments have given the same food and drink to unsuspecting participants, some labelled as coming from cheap supermarkets, some from expensive elite sources. The food and drink is exactly the same, just labelled differently, but participants always think the samples of allegedly expensive brands taste better. A knowledge of such repeated, ingrained expectations and their roots is fundamental to understanding what a client brings to counselling and psychotherapy. Different therapeutic perspectives have their own names for the phenomenon: this is a game in transactional analysis; an internal working model in object relations; RIGs (Representations of Interactions that have been Generalised) in developmental theory. The idea is the same: our expectations of the world are formed early in life, primarily from our experiences with parents or carers, and we spend the rest of our lives unknowingly and unconsciously reinforcing those early messages by moulding the world into the shape of those primal foundations. Thus the client with openly and inappropriately sexual parents can learn from them that she can only gain affection from others in this way. It ‘works’, so the early message is reinforced. The client whose parents were emotionally distant can learn that emotional proximity, though desirable, is alien and dangerous. When anyone tries to become emotionally close to him he is scared, so the early message must be ‘true’. The adult whose voice and views were dismissed by family in childhood can be in a state of almost constant verbal and emotional conflict, perceiving the same dismissal whenever anyone has the slightest difference of opinion, thus reinforcing the early message. Clients often do not realise their experience of the world is moulded by early patterns, that they are maintaining and sustaining emotional trauma, going round in circles. There is no reason they would know, since habits, once established, become indiscernible, like the newly-framed picture, conspicuous when new, which soon becomes an established part of the scenery and accepted to the point of invisibility. Thus issues of trauma such as generalised anxiety and panic, phobias, loneliness, feeling constantly sad, low self-esteem, and persistent relationship issues, seem so intractable. This is how life has always been: how could it be different? 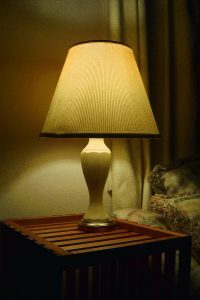 This is where the skill of a therapist becomes important, noticing the patterns in the way a face or a hand moves, or a voice changes, or a sentence always trails off at a certain point, or that some emotions are allowed and others forbidden. All such details are potential clues about established processes, and it is crucial that they are presented back to the client in a caring, therapeutic way, when the client is open, ready and able to hear and respond. The originating trauma, the neglect or deficit, is real and historical: part of the role of the skilled therapist is to assist the client in self-knowledge and self-understanding, so that the client’s difficult history is not relived in the daily present tense. This is the potential that counselling and psychotherapy offers: turning the blighted past from a present-day emotional straight-jacket into a skin that can be shed. The road requires that both client and therapist are willing to undertake that journey together, with enough patience, goodwill and care to reach the destination through exploring new routes together, practicing new habits and new ways of being in the safety of the therapeutic space. It is a journey that, for me, never ceases to be a privilege. 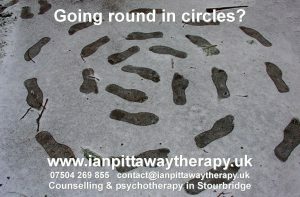 Ian is a counsellor, therapist and writer with a private practice in Stourbridge, West Midlands, and he is part of a practice in Sutton Coldfield. 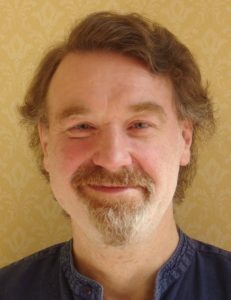 Ian’s therapy is integrative, chiefly comprising key elements of transactional analysis, object relations, person centred therapy and self-psychology. Ian has a special interest in trauma recovery and bereavement. To contact Ian, call 07504 269 855 or click here.